Billiard flat icon collection. 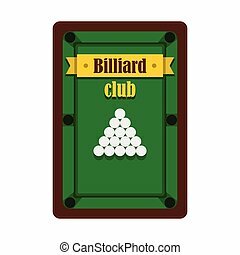 Billiard icons set on a colored background. Billiard club emblem in flat style. Vector billiard object. Elements for illustration, infographics, logos and banners.